Coccinellery is a gallery of semantic patches made to inspire users of Coccinelle. Currently the semantic patches comes from patches we have submitted to the Linux Kernel. We are working on improving Coccinellery and your suggestions and contributions are welcome. "Coccinelle is a program matching and transformation engine which provides the language SmPL (Semantic Patch Language) for specifying desired matches and transformations in C code. 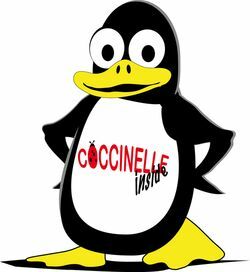 Coccinelle was initially targeted towards performing collateral evolutions in Linux. Such evolutions comprise the changes that are needed in client code in response to evolutions in library APIs, and may include modifications such as renaming a function, adding a function argument whose value is somehow context-dependent, and reorganizing a data structure. Beyond collateral evolutions, Coccinelle is successfully used (by us and others) for finding and fixing bugs in systems code."